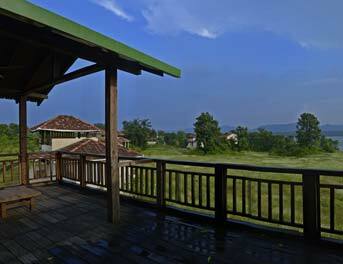 Tree House Hideaway - On and among the trees in our five tree houses there is a route to hide away of fantasies. 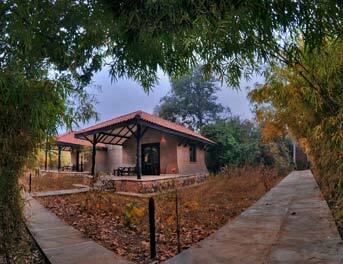 In the 21 acres area of forest rests an option of experiencing the snug life inside the rooms or venture out in the tiger-infested wild. The property has its resident species of birds, reptiles and animals residing around the forest trees and over time the area has now become a small secure park for them. 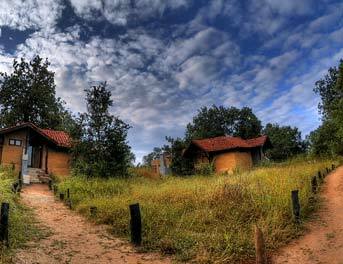 You can spend your time unseen and undisturbed in the intimacy of your room or choose to go looking for wild animals & birds in Bandhavgarh Tiger Reserve. 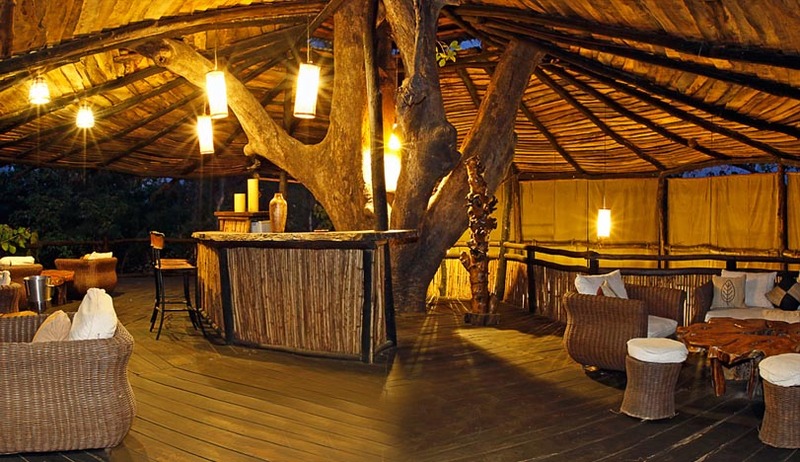 In the wild world of Bandhavgarh Tiger Reserve, the outlook of tree houses is grunge and sturdy looking but the door opens to acceptable elegance complementing the outside world. 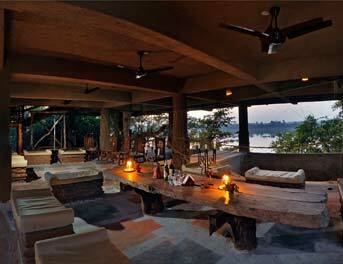 The designs are a fetching fusion of contemporary design and traditional jungle living with earth tones and eco essentials. All Tree houses have been made by local staff using regularized wood. Local craft knowledge and traditional expertise has been used at all quarters to ensure that the Tree Houses blend harmoniously with nature. 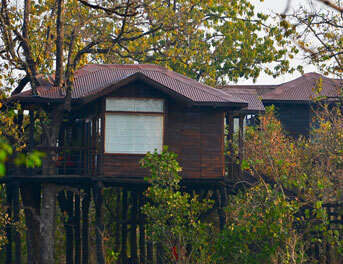 5 Tree Houses equipped with intercom, air conditioner, 24 hrs. hot and cold water & power back up. King size beds with mosquito netting. All Tree houses have modern attached bathrooms with 24hrs h/c water. Writing table with chair in the room and loungers in the balcony. 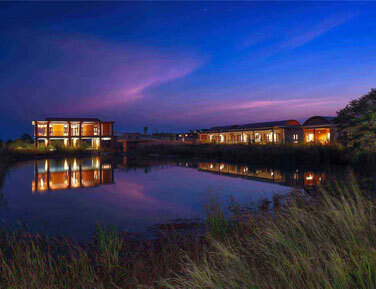 Outdoor barbeque and bush dinners venues. Jeep Safari, Elephant Safari, Hides, Village Visits.